The BUG EATER is a safe method of controlling mosquitoes, sandflies and other flying insects that bite and carry diseases without resorting to Pesticides, Insecticides or Poisons – using only household dish detergent. The flying insects are attracted to the irresistible UV Black Light of the Bug Eater. 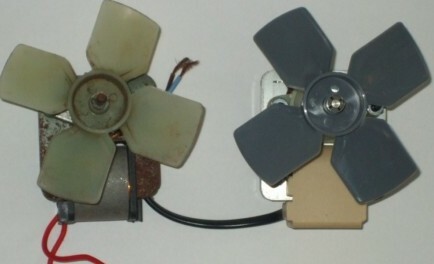 The powerfule hidden fan inside the unit creates a downdraft. The insects are blown down into the tray of soapy water and drown. The unit is rated to use outside in all weather conditions. Do not compete with the setting sun or night lights. The BUG EATER comes with a mounting bracket and screws and can be mounted on a tree, fence or building. Extras brackets are available if required. Can be used free standing. Do not (except in special cases) mount the unit higher than 1.5 metres above the ground. Fill Tray with 2/3rds water and add low scented Dishwashing Detergent. The detergent in the water breaks the surface tension and the insects sink to the bottom and drown. The BUG EATER should be turned on at dusk and off at Dawn – every night. 24 months from the date of original purchase. No Bugs Bug Eater with encapsulated motor (on right) to avoid build up of bugs, frogs and vermin on the electrical windings. Copies of our Bug Eater use motors (on left) with no protection and can catch fire if the bugs build up on electrical system. Click the button below to add the Bug Eater Insect Trap to your wish list.